Our immune system is made up of various cells, tissues, and organs that work together to activate an immune response, i.e. an attack on the intruders in our body. While most of the time, our bodies do an amazing job in keeping us fit and healthy, there are times when it needs a little boost. Some foods may be able to help out bodies stay healthy and able to fight off any unwanted invaders. 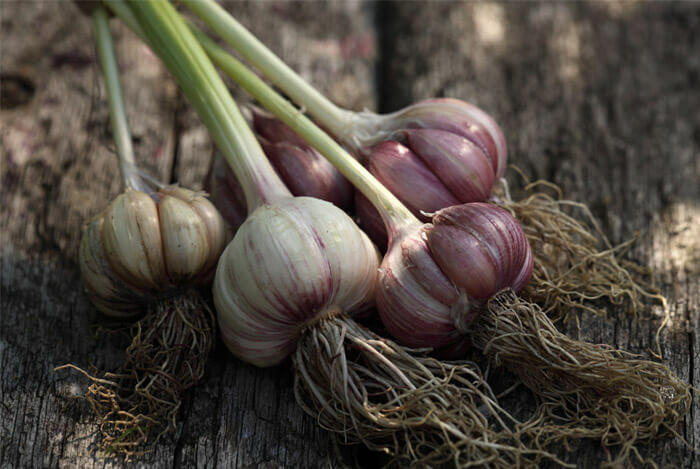 Garlic has been used for centuries as a natural medicine due to its antibacterial, antiviral, anti-fungal and anti-inflammatory properties, which all enhance and protect our immunity. Garlic possesses numerous other health benefits, which you can read about here. Fermentation, or ‘culturing’, is a food preservation technique carried out by allowing bacteria, yeasts and other micro-organisms to partially break down the food. Fermenting improves the digestibility of food while can contribute to our gut health. 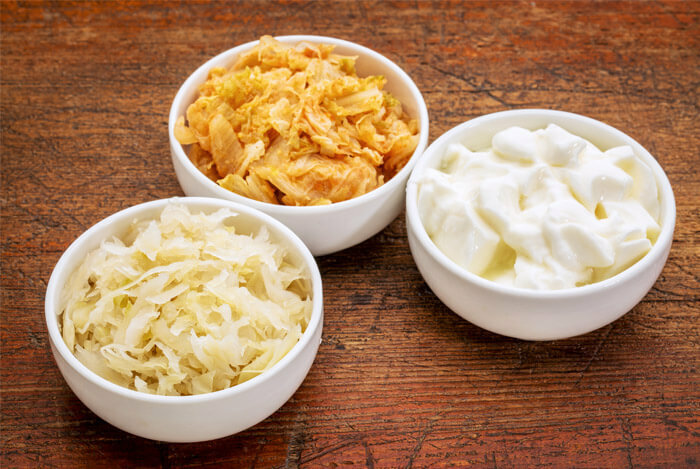 Examples of fermented foods include raw yogurt, sauerkraut, kimchi and miso. Be warned – they have a certain, tangy taste that is most definitely acquired. 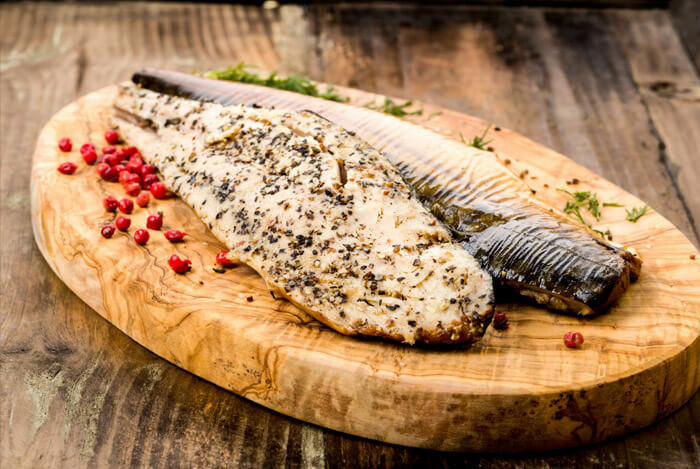 Fish, especially oily fish, is a fantastic and healthy food, thanks to its important nutrients, high quality protein and healthy fats. It’s one of the richest sources of vitamin D, something we now know is vital for a well-functioning immune system. Other sources of vitamin D include cheese, eggs, liver, mushrooms exposed to UV light, and fortified cereals and juices. 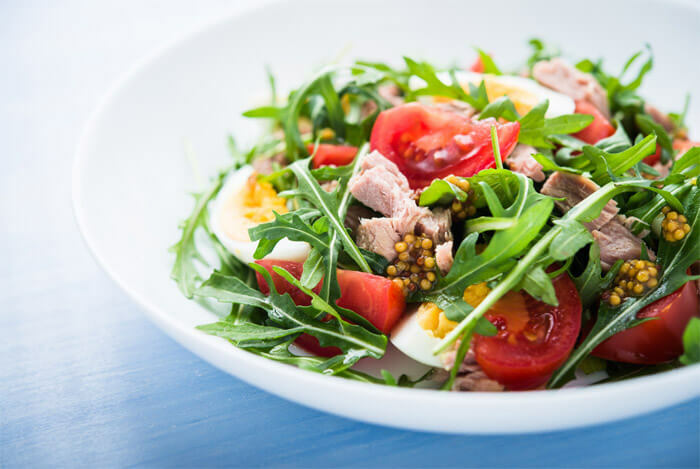 The best way to be at your healthiest and able to fight off infection is to make sure you have a well-rounded diet, full of all the nutrients our bodies need to function at their best. Complex carbohydrates, healthy fats, lean protein and a variety of colorful fruits and veggies all play a role in boosting our immune system. To learn more, check out my article on how good nutrition stops you from getting sick. What’s your take on boosting immunity? Have anything else you’d like to share? Let me know in the comments below!